Investors who are looking to escape the crowds are pleasantly surprised when they find themselves in the hillside town of Ojochal. This small, tight-knit community of expatriates and friendly locals is known for two things: embracing new comers and being home to the country's most exciting culinary scene. With rolling green mountains surrounding the town and pristine beaches just minutes away, this remote, largely undiscovered location offers the best of both worlds land and sea are within arm's reach. Investing in Costa Rica will also excite your tastebuds if you choose the Ojochal area home of a burgeoning culinary movement that is drawing the attention of in the know people around the world. 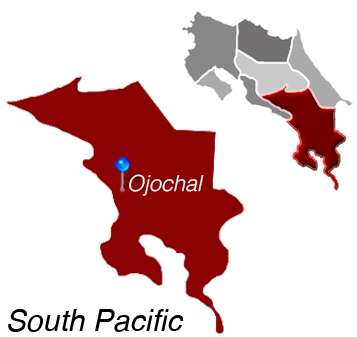 Much of Ojochal real estate consists of luxury homes on private lots and family-friendly gated communities. Both offer investors a peaceful place to relax and enjoy life in this tropical country without all the traffic and noise that exists in so many beachfront communities. Whether you're looking for ocean views or mountainside living, or perhaps a combination of both, Ojochal has an understated charm that may quickly win you over. Vacation rentals are also available throughout the area, making Ojochal an excellent destination for a stress-free, tropical getaway. 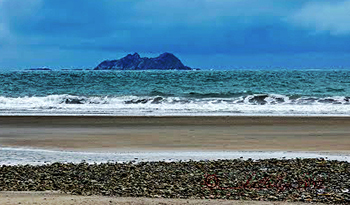 Ojochal is Located in the South Pacific.